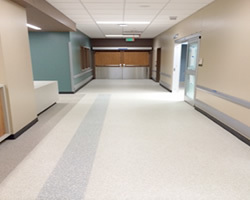 Dudick Inc.’s Steri-Soft – 100% Resilient Urethane floor was used on 55,000 sq. ft. of the new Parkland Hospital project in Dallas. To say that the project was huge is an understatement! Over 2.1 million square feet – 862 beds – 96 NICU rooms…and more. 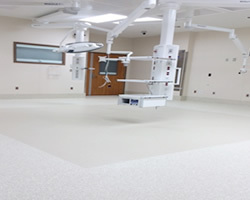 Dudick Steri-Soft was used in all of the operating rooms, surgical recovery rooms and surgical hallways because of its seamless – resilient characteristics. The resiliency of Steri-Soft contributes to its superior anti-fatigue characteristics along with acoustical noise reduction. 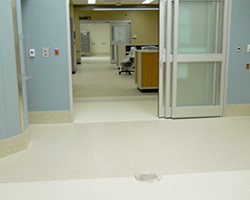 Great combination: resilient – comfortable – seamless and highly stain resistant!